Underlayment products are the final line of defense between the home and the elements. Underlayment products help block water from the roof deck and out of the home to help prevent rot, mold, and water damage. Your roof is a big investment. Help protect it right from the start against water damage in the attic, which can cause mold growth and rotting deck boards. Owens Corning® roofing shingles do more than just protect your home from the elements. They boast a wide selection of color blends and styles that help bring out the true beauty in your home. Hip and Ridge shingles add an attractive, finished look to your roof’s ridgeline while protecting against the weather. 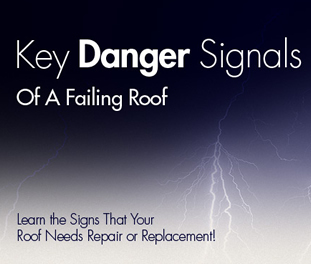 Reduce heat and moisture buildup that can lead to ice damming, roof deterioration and mold infestation. Helps air flow through the attic to manage temperature and moisture. 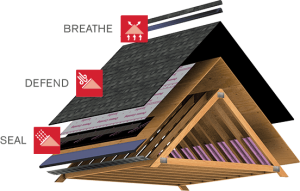 When used with the proper exhaust ventilation, intake ventilation products help replace the warm, humid air in your attic with cool, dry air to help protect the interior components of your roof system from heat and moisture damage. They also help keep the attic temperature closer to the outside temperature to help eliminate problems such as ice damming, which can cause premature shingle deterioration. Exhaust ventilation helps draw air out of the attic, protecting the roofing system from heat and moisture damage. Designed to work together with our VentSure® intake ventilation products, they help create a balanced flow where warm, humid air is continuously replaced by cool, dry air.